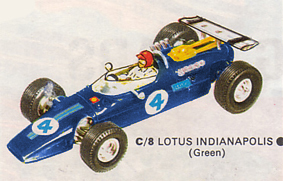 Information: 1969 to 1971 - slim wheels. 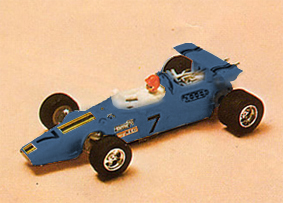 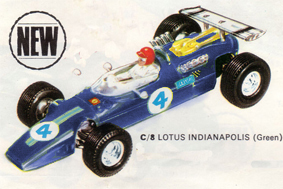 1972 - wide tyres and gold coloured wheels. 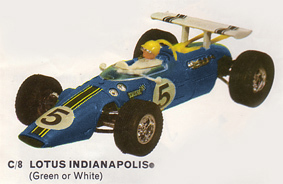 Model Details: The Lotus 38 won the Indianapolis 500 in 1965.